L 1501 x 2000px 8 Mb. XL 4877 x 6500px 15 Mb. 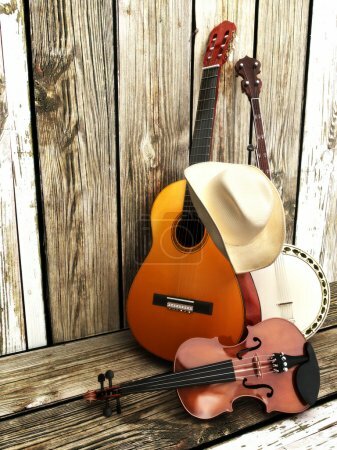 Stringed instruments , guitar, banjo and violin with a cowboy hat leaning against a wood fence.